Bring your events and décor to life with some captivating butterfly picks. Use our butterfly picks to enhance and transform balloon and floral arrangements or to add final touches on a wedding favour, DIY crafts and display trees. 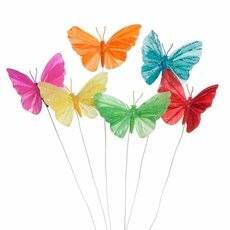 Butterfly picks with flexible wires can be easily attached around branches and floral designs. 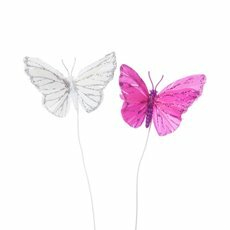 Butterfly picks can also be used to add a creative touch to your gift packaging and hamper decorations.